Beloved wife passed away Sunday, October 7, 2018 due to injuries sustained in an automobile accident. Age 53 years. The daughter of late Francis and Catherine (Grinzinger) Miller, Diane was born March 8, 1965 in Saginaw, Michigan. She graduated from St. Stephen High School in 1983 and later earned her Associates Degree. She married Dan Porath on August 30, 2003. He survives her. Diane was formerly employed at Catholic Federal Credit Union and currently employed at Generations Family Credit Union. She was a member of Holy Spirit Catholic Church and Knights of Columbus Council #4232 Ladies Auxiliary. Diane enjoyed baking and loved spending time with family and friends. Surviving besides her husband Dan are her brothers and sisters, David F. and Jacqueline Miller, MaryAnn and Terry Oliver, James H. and Janice Miller, Dennis J. and Delphine Miller, Ronald D. and Keri Miller, Debora C. and Brad Beeker; brothers-in-law and sisters-in-law, Curtis and Fay Porath, Sue A. Berg, Mark and Sue Porath, David and Stephanie Porath, Pamela Porath; many nieces and nephews. Diane was preceded in death by a brother-in-law, Michael Porath. Funeral Liturgy will take place 10:00 a.m. Monday, October 15, 2018 at Holy Spirit Catholic Church, 1035 N. River Road in Saginaw. Rev. Fr. Peter Gaspeny will officiate with burial in St. Andrew Cemetery. Friends may visit at The Snow Funeral Home, 3775 N. Center Rd., (between Shattuck and McCarty), where the family will be present on Sunday from 12:00 noon to 4:00 p.m. and at Holy Spirit Catholic Church on Monday from 9:00 a.m. until time of Mass. 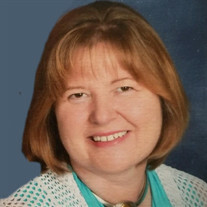 The Knights of Columbus Ladies Auxiliary will pray the Rosary 3:00 p.m. Sunday which will immediately be followed by family and friends sharing memories of Diane. Those planning an expression of sympathy may wish to consider memorials to Amazing Grace Animal Shelter.